Sony’s new handheld is indeed called PSP Go and has up to 16GB of flash memory and Bluetooth support for tethering to mobile phones. 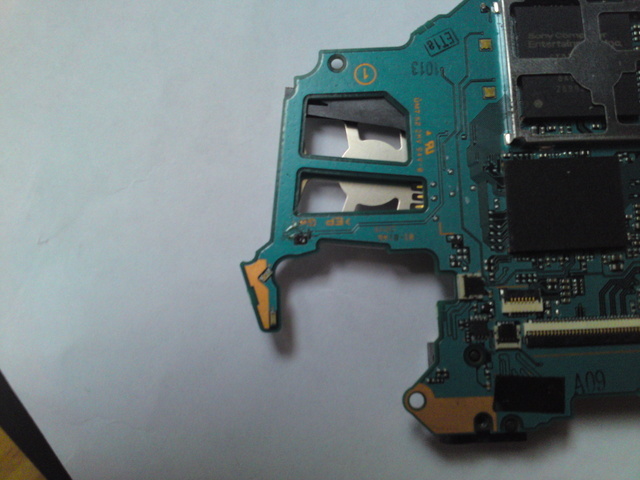 With the slide closed, the unit has a visible Wi-Fi indicator in the top left next to the screen, as well as a PS button in the bottom left, and a Bluetooth indicator in the top right, with low-profile shoulder buttons along the top. When the screen slides up, it reveals a d-pad and analogue nub, start/select buttons and the traditional arrangement of four face buttons. We’ve previously been told to expect 8GB and 16GB models, but presumably we’ll find out more on Tuesday at Sony’s conference. 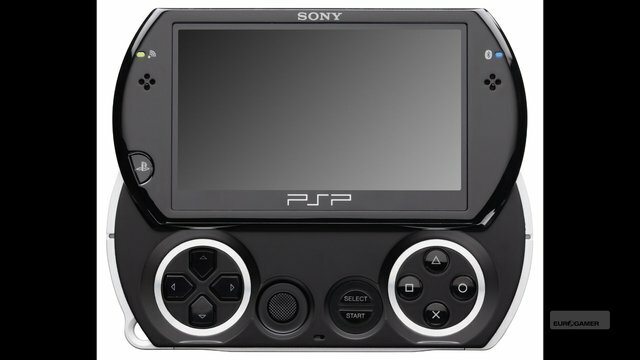 Sony’s PSP Go will be released this autumn and is 43 percent lighter than the PSP-3000 with a 3.8-inch screen, according to marketing man John Koller. 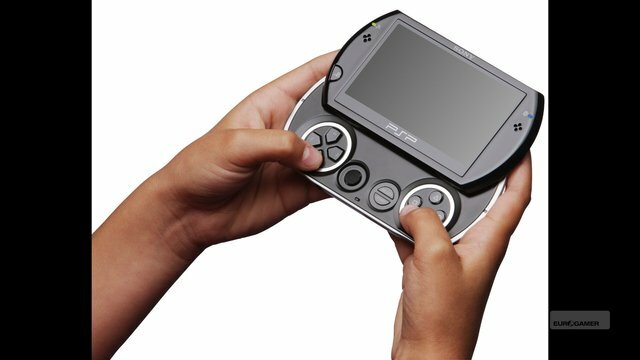 In a full version of the prematurely-posted Qore segment that outed the PSP Go, which Eurogamer has obtained, Koller talks up the device’s features but doesn’t mention a price. 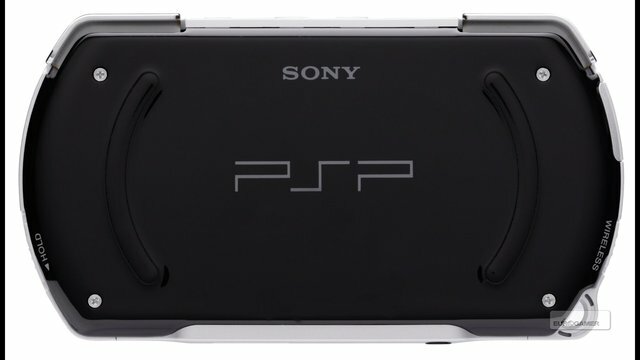 “It’s a 3.8-inch screen, it’s 43 percent lighter than the PSP-3000, 16 gigs flash memory, Bluetooth support and all digital content so the UMD drive goes away so it’s going to be something a lot of consumers like – download straight to a hard drive,” he tells viewers. He also says “it’s coming this fall”, which is autumn in old money. But no word on price yet. Sony’s conference at 7pm BST / 8pm CET on Tuesday would be the best bet for that, we expect. 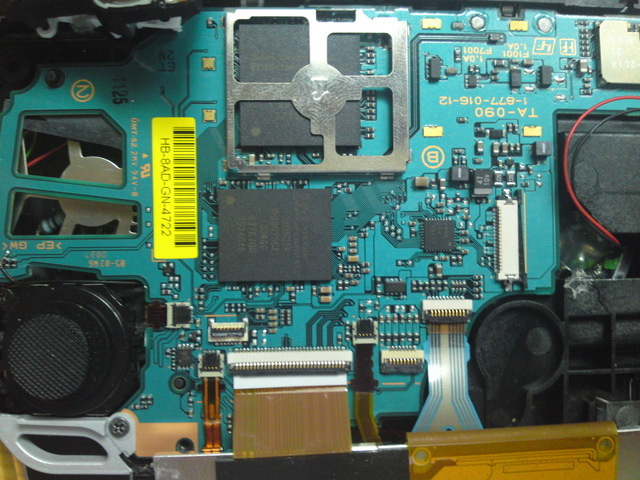 Check out our PSP Go photo gallery to see what it looks like in high resolution. Last word though to Qore host Veronica Belmont: “This device in particular has been very cloaked in secrecy for the last few months.” Yeeeeeah.